Family run restaurant, very welcoming and good traditional italian food and good but not too expensive wine list. Good Tuscan food in a charming setting, service was attentive but not over baring would recommend highly, good value for money. 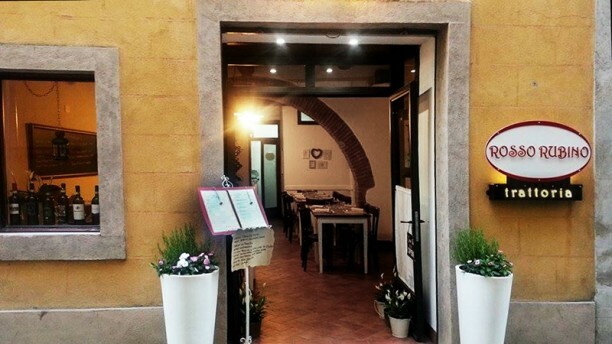 A most wonderful place to appreciate traditional and dignified Tuscan cuisine and enjoy welcoming hospitality. It is evident that the owners place a high value on the customer's experience. Highly recommended. Reservations essential. Great food, people, etc. One of the best dinners we had in Tuscany. Very nice couple who own the restaurant, made you feel like home. Food is exceptionally good and fresh. It was our anniversary and this was a great place to celebrate. Could eat there everyday. This was a lovely restaurant but was just a little let down by the service. I think this was largely due to about 8 couples all turning up at the same time but it meant we were left with our empty plates in front of us for some time with nothing to drink. The food was nice enough and if you’re looking for traditional Tuscany fare then this definitely ticks the box but we didn’t find the meal overly memorable. So good that I’m going back. We had an amazing meal here on our last night in Italy - went based on TripAdvisor reviews and were not disappointed. Incredible food, kind and helpful staff -- don't miss the gnocchi in saffron, the pici was to die for our and the traditional Tuscan meat dishes were perfection. Such a treat, don't miss this place in Montepulciano. Quiet and friendly place where you can expect more than the average - i.e. homemade pasta with exceptionally tasting boar ragu. Friendly and helpful staff and to round it all up: a delicious cappuccino. It was a perfect dinner for us. This was just delicious Tuscan food. The gnocchi was fantastic! Nice to be away from the tourist crowds. Very nice people, food was very good home cooked dishes, dessert and wine were great and all at a reasonable price. Best meal we had in Tuscany. Excellent antipasti and tagliata, great vino nobile, friendly service. Restaurant is small and the illumination is very bright. We will return!